Nashville-based electro love makers Cherub are heading out to the LBC (that’s Long Beach, CA if you didn’t know) to jump on a boat and PAR-T-AY. I caught up with the guys to find out a little more about the band, what kind of ridiculous antics they had in store. In turn, they played a nice little game called: “avoid the question/change the subject”. But your press photos are super pretty. Thanks, bro! Cori Spelling: How did you dudes get together? CS: When people think of Nashville your music is probably the polar opposite of what one typically expects to come from that scene. Is this a fair notion? 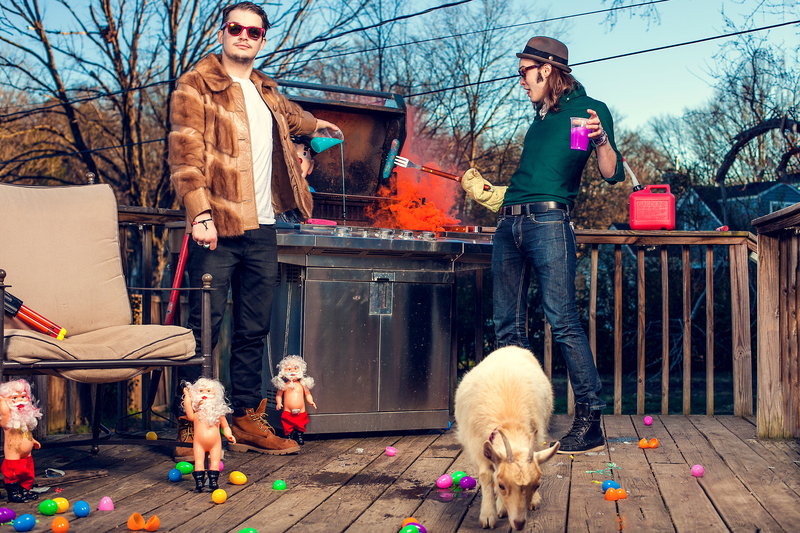 Is Cherub an anomaly of what’s goin’ down in Nashville? C: There is so much amazing music of all genres in Nashville. Definitely super stoked to have Nashville be our hometown. CS: You talk a tough game in your viral hit “Doses and Mimosas”. Is this a pretty accurate depiction of who you guys are off-stage? Or is this just an on-stage persona? C: We like to have a good time for sure but all in moderation. The sunset in Mexico is a beautiful thing. Have you ever sabered a champagne bottle? CS: The track is undeniably infectious. And you probably receive a ton of booty shakin’ at your gigs. What’s the craziest fan reaction you’ve received? C: Thank you! We definitely love booty shaking at our shows. We’ve had people get engaged during our sets before! That’s pretty awesome and crazy. CS: Do you have people dance on-stage during your shows? C: We leave that one up to the security. CS: Any pre-show or post-show rituals? Do you wear lucky underwear? C: Stay sober before and get wasted after. CS: You’re part of Boatylicious in the LBC. Do you expect to get wet and party down? C: Is that a trick question? Cherub (and others) will perform live Saturday, July 6th in Long Beach, CA – as part of the “Boatylicious Concert Cruise”.